Looking to add a modern touch to your home interior with minimal effort? 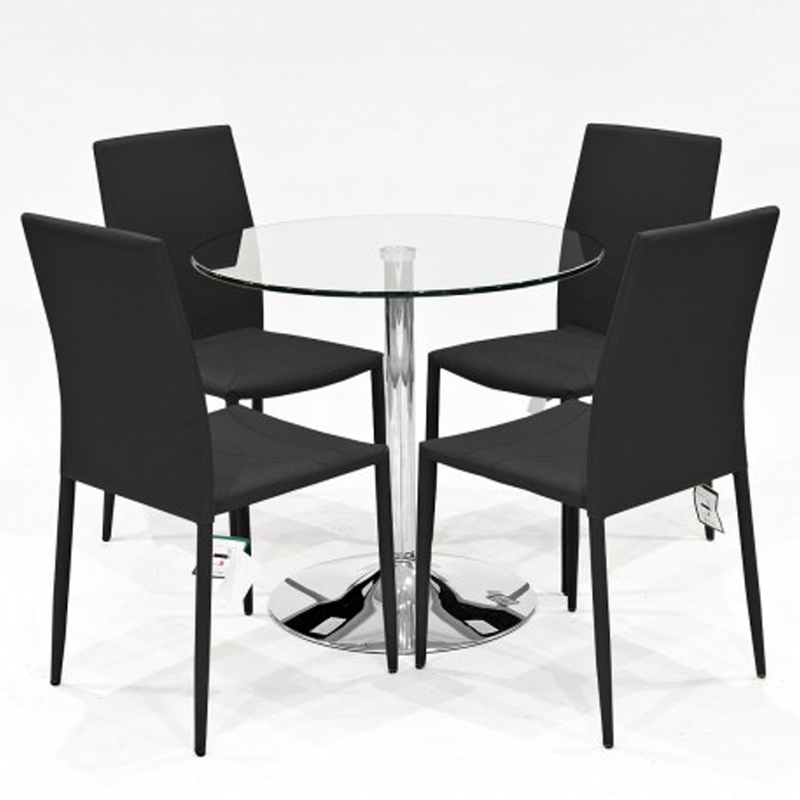 Introducing this beautiful Black Selina Clear Glass Dining Set, with four black chairs that are covered in a fabric materials this dining set also features a clear glass table with a shiny chrome base. Handcrafted to the highest quality it's ensured to last a lifetime.